Budget airline Norwegian is to start flights from Birmingham Airport, with routes to Madrid, Barcelona and Malaga launching in 2015. The airline will offer regular services to the Spanish destinations, with Madrid becoming a brand new one from Birmingham. The Madrid route will start on March 31 and operate each Tuesday, Thursday and Sunday. The Malaga service starts a day earlier and will operate every Monday, Friday and Saturday, while the Barcelona route starts on June 1 with flights every Monday and Friday. The latest route announcement comes after the launch of Air India&apos;s daily service to Delhi and news of other new routes on the way, including Vueling Airlines&apos; service to Barcelona and American Airlines&apos; service to New York. Paul Kehoe, chief executive of Birmingham Airport, said: “We are very pleased to be able to announce this new airline and offer more new routes from Birmingham, and I thank Norwegian for choosing to launch Birmingham to these popular Spanish destinations. “Although Norwegian is new to the Midlands market, I am certain that consumers – both business and leisure - will be impressed with the carrier’s low fares and efficient service, which has allowed them to grow to carry more than 20 million passengers a year. 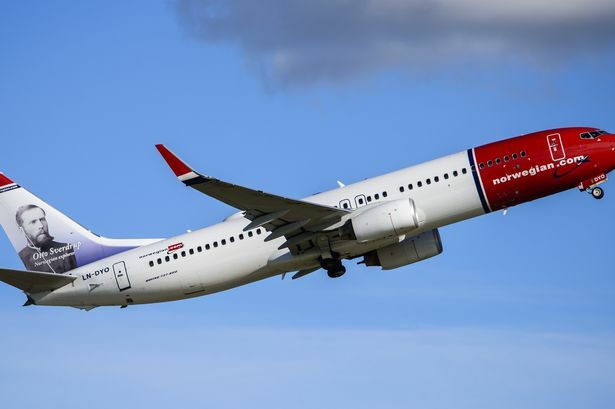 Norwegian will operate a 186-seat Boeing 737-800 aircraft, with a one service cabin offering free wi-fi. Norwegian’s chief commercial officer Thomas Ramdahl said: “We’re happy to announce that Norwegian is launching new routes from Birmingham to several destinations in Spain.